Pokemon Announces 2016 Rotation – Primal Clash-On! Posted on July 5, 2016 | Comments Off on Pokemon Announces 2016 Rotation – Primal Clash-On! Comments Off on Pokemon Announces 2016 Rotation – Primal Clash-On! The Fincastle Gym was hit with some unfortunate news over the past week. We were informed that the Reynolds family is leaving the Pokemon Trading Card Game. We do not know (and it is not our business to know) what happened between the Pokemon Company and the family, but either way the Gym will definitely feel the loss. Our pre-release is cancelled and our Battle Roads tournament is up in the air. There are more details at the bottom of this post on these events. Losing these events doesn’t compare to losing the Reynolds family. Gym Leader Logan Set To Return To World Championships! 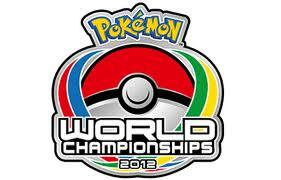 Posted on July 19, 2012 | Comments Off on Gym Leader Logan Set To Return To World Championships! Comments Off on Gym Leader Logan Set To Return To World Championships!